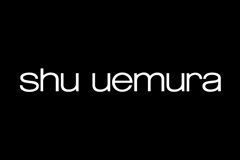 Shu Uemura is an icon in the hair industry and has been for many years. Uemura began in 1958 with the revolution of make-up as it is experienced today. The brand made its debut in Tokyo and opened his first boutique in Japan in 1983. Color Lustre is the newest Shu Uemura Brilliant Glaze Collection. It was designed for color-treated hair and uses refining lipids to restore hair's natural varnish and to protect fading and damage. One is left with a vibrant, glazed shine and a polished touch. The conditioner has a minimal scent and provides a tangle free segue for the other Shu Uemura products. This was applied to the ends of our hair, before a thorough rinse. The milk provided a glazed shine and a lustrous sheen with excellent tactility. It was also easy to apply. The shampoo has a unique and pleasant aroma. However, there's a slight bite to it. It's the bitter essence of fruit and while it's not as strong as other, competitive brands, it is present nonetheless. Shu Uemura left our brunette strands a super soft mass of incredible. It is luxuriously soft, in fact. Squeeky clean and soft.